LEXICOGRAPHY: THE ISRAELI ACADEMY CONTINUING THE UNPRECEDENTED REVIVAL OF THE HEBREW LANGUAGE. In Biblical Hebrew, there were approximately 7,000 words. Modern Hebrew has approximately 33,000 words (Eytan Halon, Jerusalem Post). Established by the Israeli government in a 1953 law, the academy is split into two divisions. The first division is a scientific undertaking termed the Historical Dictionary Project, initiated soon after the academy's birth and which seeks to produce an academic Hebrew dictionary, documenting and defining every Hebrew word from all periods and evolutions of the language. The academy’s second division has a more practical, normative role. Its task is to coin new words and inform people how to speak and write. Since its inception, the academy has published countless dictionaries of new words in different technical fields, including psychology, banking, physics and mathematics. According to the 1953 law, all Israeli state and governmental institutions are bound by the Hebrew language decisions adopted by the academy. The success and breadth of the academy's historical dictionary project is clear to see by looking at one of [Dr. Gabriel] Birnbaum's many bookshelves. The project, initiated by Ben-Yehuda, counted five volumes by the time of his death in 1922. Today, there are 16 volumes taking pride of place in the researcher's office. Some past posts on the Academy of the Hebrew Language and its Historical Dictionary Project are here, here, here, here, here, here, here, and here. 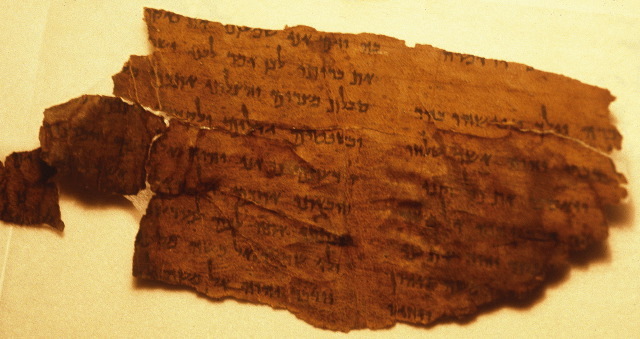 First Enoch is an ancient Judean work that inaugurated the genre of apocalypse. Chapters 1–36 tell the story of the descent of angels called “Watchers” from heaven to earth to marry human women before the time of the flood, the chaos that ensued, and God’s response. They also relate the journeying of the righteous scribe Enoch through the cosmos, guided by angels. Heaven, including the place and those who dwell there (God, the angels, and Enoch), plays a central role in the narrative. But how should heaven be understood? Existing scholarship, which presupposes “Judaism” as the appropriate framework, views the Enochic heaven as reflecting the temple in Jerusalem, with God’s house replicating its architecture and the angels and Enoch functioning like priests. Yet recent research shows the Judeans constituted an ethnic group, and this view encourages a fresh examination of 1 Enoch 1–36. The actual model for heaven proves to be a king in his court surrounded by his courtiers. The major textual features are explicable in this perspective, whereas the temple-and-priests model is unconvincing. The author was a member of a nontemple, scribal group in Judea that possessed distinctive astronomical knowledge, promoted Enoch as its exemplar, and was involved in the wider sociopolitical world of their time. Professor Esler kindly gave me a copy a few weeks ago. DR. GEOFFERY HERMAN: Ahasuerus, the Son of a Stable-Master (TheTorah.com). A reminder that Purim is coming soon. BIBLE HISTORY DAILY: The Song of Songs: Love Is Strong as Death. Philip Stern’s Biblical Views column on the Song of Songs. The poet’s aim, I would posit, is to sing of love with all the power of the Hebrew tongue. ANCIENT JEW REVIEW: Book Note | The Invention of Judaism (Krista Dalton). John J. Collins. The Invention of Judaism: Torah and Jewish Identity from Deuteronomy to Paul. University of California Press, 2017. Last year I noted an essay on the book by Professor Collins himself here. Brooke lecture on "Comparing Methods and Theories"
Professor George Brooke on "Comparing Methods and Theories." This is a video of a recent lecture by Professor Brook. It is posted at Facebook page of the Groningen Faculty of Theology and Religious Studies. I noted awhile ago that his inaugural lecture at Groningen was upcoming. It happened at the beginning of this month and was livestreamed, but I can't find the video anywhere. If you find it, please send me the link. H-JUDAIC: Sweeney on Graybill, 'Are We Not Men? : Unstable Masculinity in the Hebrew Prophets'. Rhiannon Graybill. Are We Not Men? : Unstable Masculinity in the Hebrew Prophets. Oxford: Oxford University Press, 2016. 200 pp. $78.00 (cloth), ISBN 978-0-19-022736-4. Rhiannon Graybill’s monograph on unstable masculinity in the prophets is based on her recent University of California Berkeley PhD dissertation supervised by Robert Alter, Daniel Boyarin, Chana Kronfeld, and Celeste Langan. I normally do not mention full committees in reviews, but this committee includes no full Bible scholars, even if some of them, for example, Alter, have extensive experience with Bible. Alter is a comparative literature scholar; Boyarin is a Talmudist; Kronfeld is a scholar of modern Hebrew and Yiddish literature; and Langan in a specialist in English literature. But Graybill’s research is frequently limited by her selection of often out-of-date scholarly literature and her failure to contextualize many of the Bible passages that she studies. Although she raises appropriate questions, her discussions often do not provide full consideration of the biblical and scholarly literature that such a project demands. BIBLE HISTORY DAILY: A First Temple Period Palatial Estate Near Jerusalem? Discoveries at Ein Hanniya and their Iron Age palatial context (Samuel Pfister). By the seventh century B.C.E., Jerusalem was a bustling capital city of the Kingdom of Judah. Just outside of the city limits in the Valley of Rephaim National Park, archaeologists have discovered the location of a rural estate occupied for more than a thousand years, from the seventh century B.C.E., the First Temple period, to the early Byzantine period, around 500 C.E. After six years of excavation and restoration, Ein Hanniya Park was dedicated with a festive tree-planting ceremony last week and attended by Jerusalem Mayor Nir Barkat, Israel Antiquities Authority (IAA) Director General Israel Hasson, and others. Background on the recent discoveries at Ein Hanya (Ein Hanniya) is here and here. PHILOLOGOS: No, the Mysterious Voynich Manuscript Is Not Written in Hebrew Despite the silly claims of two computer scientists (Mosaic Magazine). This is spot on, as is the rest of Philologos's analysis. I came to the same conclusion a couple of weeks ago, after reading (well, skimming) Hauer and Kondrak’s academic paper. It didn't take any more than skimming, because the supposedly deciphered (by an AI! ), so-called Hebrew is simply not credible. BELATEDLY FOR VALENTINE'S DAY: When Cupid paid Israel a visit, 2,000 years ago. The mischievous imp keeps popping up throughout the Holy Land (Amanda Borschel-Dan, Times of Israel). BIBLE HISTORY DAILY: Laughter in the Bible? Absolutely! (Robin Gallaher Branch). As I study and teach, I find I read the Bible ever more slowly, and as I do, I smile more and more frequently. I listen for its humor. My emotions span sorrow, understanding or joy as I empathize with the characters who cross its pages. I chuckle at many passages, even while acknowledging the sadness they may contain. Consequently, I believe it’s possible to read many verses, stories and even books through the lens of humor, indeed to see portions of the Bible as intended to be very funny. An appropriate response is laughter. I’ve come to this conclusion: Humor is a fundamental sub-theme in both testaments. Probably, although it's hard to tell. This is a good bit of laughter in the Bible, but people can laugh out of scorn, nervousness, delight, etc., and not just because they think something is funny. And humor is very difficult to detect cross-culturally. Even within the same culture, one person's joke is often not funny to someone else. Still, I would say that Dr. Gallaher Branch's first example, 2 Chronicles 21:20, is a clear example of humor in the Bible. TODAY IN HISTORY: Feb. 15 (Robert Joseph Baker, Manning Live). OLD CHURCH SLAVONIC WATCH: Today is the Feast Day of Saints Cyril and Methodius as celebrated by the Catholic Church and the Anglican Communion: Feast of Sts. Cyril and Methodius, Feb. 14 (Catholic News Service). They lived in the ninth century and were the creators of the Cyrillic alphabet. Their work is of interest to PaleoJudaica because many Old Testament pseudepigrapha survive in Old Church Slavonic or Church Slavonic. This is just the first round of celebration. Their day is also celebrated on 24 May in Bulgaria, Macedonia, and Russia, and on 5 July in Slovakia and the Czech Republic. Background on Cyril and Methodius, their alphabet, and Slavonic pseudepigrapha, is here and links. Oh, and if you must have something for that other celebration today, see this post from a couple of years ago: Solomonic Valentine's Day cards. Despite the interest that has been shown by classicists and assyriologists in the economy of Lower Mesopotamia during the two centuries of Macedonian rule over the region (331-129 B.C. ), no synoptic study has previously been published, even though abundant sources are available: several thousand cuneiform tablets survive from this period, as well as more than 25,000 Greek seals, not to mention the testimony of classical sources and rich numismatic and archaeological materials. This book aims to present an accessible synthesis of the topic, in the form of a regional study that takes into account all available sources as well as the weight of Mesopotamia’s heritage. The reader will find not only clear overviews of complex questions (including the impact of Alexander’s reign, the nature of Seleucid policy, the evolution of prices, and the development of banking) but also new research on issues such as the 'Diadochi crisis', the introduction of coinage, the evolution of the prebendary system, and the disappearance of local temples, shedding new light on the economy of one of the most richly documented parts of the Hellenistic World. Some past PaleoJudaica posts on why knowledge of late ancient Babylon is important for understanding ancient Judaism are here, here, here, and links. PILGRIMAGE MINEFIELD: Israel will soon clear 4,000 landmines at Qasr al-Yahud baptism site. (MELANIE LIDMAN, Times of Israel). Christians believe that Qasr al-Yahud, located about 10 kilometers east of Jericho, is the spot on the Jordan River where Jesus was baptized. But there are an estimated 4,000 landmines in the area, which contains seven churches along with chapels and monasteries, each belonging to a different denomination of Christianity. For decades, these bullet-pocked churches have remained abandoned, as some are booby-trapped. The Qasr al-Yahud site is also holy to some Jews. Qasr al-Yahud translates as “The Castle of the Jews,” and some believe was the spot where the Jewish people crossed into Israel for the first time after leaving Egypt. It is also believed to be the site of Elijah’s ascent into heaven in a “chariot of fire” and the place where Elisha performed miracles. This is one possible site for Jesus' baptism. As the article notes, and as PaleoJudaica noted here, the plans to de-mine the area go back to 2016. Other past posts on Qasr al-Yahud are here, here, and here. APPREHENDED: Police find antiquities worth NIS 200,000 in Palestinian man’s home. Raid on house in northern West Bank turns up ancient millstones (Stuart Winer, Times of Israel). The one in the photo has Greek letters inscribed on it. AT THE NATIONAL MUSEUM OF ARCHAEOLOGY IN MALTA: Counting on 16,000 coins for a historic exhibition. Coins from every era have gone on permanent display (Times of Malta). The article has a nice photo of some coins of Marcus Aurelius. Cross-file under Numismatics and Punic Watch. SYRIAC WATCH: Role of Syriac culture in religious history focus of exhibit (Ann Marie Deer Owens, Research News @Vanderbilt). The rich Syriac culture, which has faced continued threats of extinction due to ongoing strife in countries such as Syria and Iraq, is featured in an exhibit at Vanderbilt’s Cohen Memorial Hall. “Syriac: Preserving an Endangered World Culture,” which is free and open to the public through March 2, showcases the presence of Syriac culture around the globe. The Syriac language is a dialect of Aramaic used extensively by Christians in the Middle East. BRYN MAYR CLASSICAL REVIEW: Robert Knapp, The Dawn of Christianity. People and Gods in a Time of Magic and Miracles. Cambridge Massachusetts: Harvard University Press, 2017. Pp. xvi, 303; 16 p. plates. ISBN 9780674976467. $29.95 (hb). Reviewed by Giovanni Alberto Cecconi, Università degli Studi Firenze (giovannialberto.cecconi@unifi.it). Already the author of a volume on the lives of ordinary people and those in the lowest social ranks during the Empire from Augustus to Constantine (Invisible Romans, Cambridge MA), Robert Knapp continues to examine ordinary people, refocusing his attention on a completely different historical topic. Here he sketches a broad outline of religious life and attitudes toward the divine in Jewish, Christian, and polytheist individuals and communities (Knapp opts for the systematic use of the word “polytheists”, cf. especially chap. 5 "Polytheists in their World", 59-87; 59: “Polytheists… had a panoply of attitudes and approaches to the supernatural which the term ‘polytheism’ encapsulates”). The book considers the preexisting conditions for the formation and spread of Christianity from the Late Hellenistic period to the 1st century C.E. The author highlights common ground and points of divergence between the various contexts and traditions mentioned above, laying the basis for a more suitable knowledge and a clearer interpretation of the first “dawn of Christianity” and equally of historical-religious processes that are chronologically later, and which in this book are left undertreated or not treated at all, e.g., Christianization after Constantine (defined as “top down”). THE ANCIENT NEAR EAST TODAY: Echoes of Nabataean Seafaring (Ralph Pedersen). Examining the literary sources, we find that the Greek geographer Strabo (XVI.4, 18) states that the Nabataeans used crude rafts in their initial maritime activities. But the Greek historian and geographer Agatharchides (5.90), writing in the mid-second century BCE, stated that Nabataeans were known for attacking passing ships. Clearly, their piratical ventures quickly earned the Nabataeans a sordid and dangerous reputation. Does that mean they spoke pirate Aramaic? Cross file under Nabatean (Nabataean) Watch. The Nabateans actually spoke Arabic but wrote in a dialect of Aramaic. For many past posts on the Nabateans and their language, start here and follow the links or search the PaleoJudaica archive. DR. 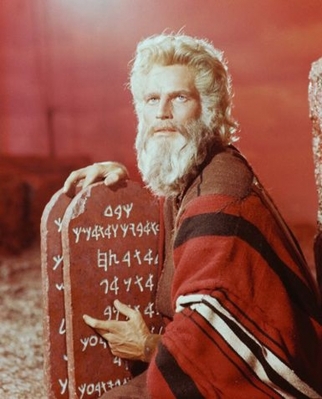 RABBI DAVID FRANKEL: What Did God Write on the Tablets of Stone? (TheTorah.com). ANCIENT JEW REVIEW: Voices, Fragments and Selves: Preserving Ancient and Contemporary Multi-vocality in Our Classrooms (Sarit Kattan Gribetz). The underlying lessons of this opening exercise – about the fragmentary nature of our sources, about the voices that are present and absent, about the methods we can use to answer important questions about the past, about the impact of our own perspectives and biases on our interpretation of this material – then guide our subsequent study for the remainder of the semester, as my students learn to analyze ancient sources both for what they reveal and what they conceal about the past, and as they learn to listen to the voices from the past as well as the voices of their classmates. With a close reading of the Gospels, it turns out that Jesus’s appearance coheres perfectly with his teaching. In advocating his disciples give away all but their essentials to the needy (Matt. 19:20-22), he practised what he preached. I wonder if we would recognise him, as he really looked, if we met him on the way. PROF. MICHAEL L. SATLOW: What Is Wrong with Charging Interest? (TheTorah.com). The Torah prohibits lending to poor people with interest. Why did Jewish law include business loans and how did this effect the law’s original purpose? Some blog posts etc. by Professor Satlow on related topics are noted here, here, and here. ARCHAEOLOGY: Ancient kids’ toys have been hiding in the archaeological record (Bruce Bower, ScienceNews). Real, ancient toys, not like this and this. Unusual finds in Israel dating to around 3,000 years ago also represent children’s early attempts to mimic adult craftwork, Garroway said in a November 18 presentation in Boston at the annual meeting of the American Schools of Oriental Research. Numerous rounded clay disks, each pierced with two holes, have mystified investigators for nearly a century. As early as 1928, an archaeologist suggested that these button-sized objects were toys.